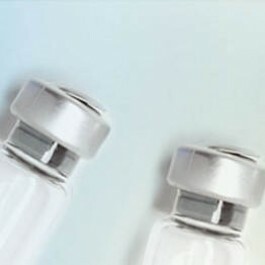 Search for all "C5a micro ELISA Kit"
No significant interference observed with available related molecules. The C5a ELISA Kit is a solid phase enzyme-linked immunosorbent assay (ELISA) based on the sandwich principle. Due to cross-reactivity of the monoclonal antibodies with complement factor C5, C5 in the sample is removed by precipitation prior to analysis. The resulting clear supernatant contains the C5a to be determined. During the first incubation the C5a in the sample binds to murine anti C5a monoclonal antibodies, which are attached to the surface of the microtitration plate. Unbound constituents are then removed by washing and, in a second reaction, peroxidase conjugated monoclonal antibodies are added and bound to a different epitope on C5a. The excess enzyme conjugated antibodies are removed by washing; the bound enzyme activity is then determined. The enzymatic reaction between hydrogen peroxide and chromogen is terminated by the addition of dilute sulphuric acid. The intensity of the colour intensity, which is proportional to the concentration of C5a, is determined photometrically.